By far the most exciting safari experience I've experienced was riding horseback amongst the wildlife, including approached several rhinos grazing in the long grass, and spending several minutes with them sussing each other out, whilst hoping my horse wouldn't bolt. Luckily grass eaters are mostly friends in the wild, and the rhinos didn't know they had meat-eaters on their backs. The horseback safari at Aquila Game Reserve is an opportunity to get really close to the animals on the reserve, which are less spooked by the horses than the 4x4's for obvious reasons! Saying that, the animals we encountered, seemed very relaxed regardless of our attention! The morning will start early at 09:00 with a selection of cakes and drinks to enjoy. At 09:45 you will meet your trusty steed and saddle up for the safari. Numbers are limited to keep the groups small and managable. The safari will last 2 and a half hours, which is plenty of time for some close encounters with the local wildlife. 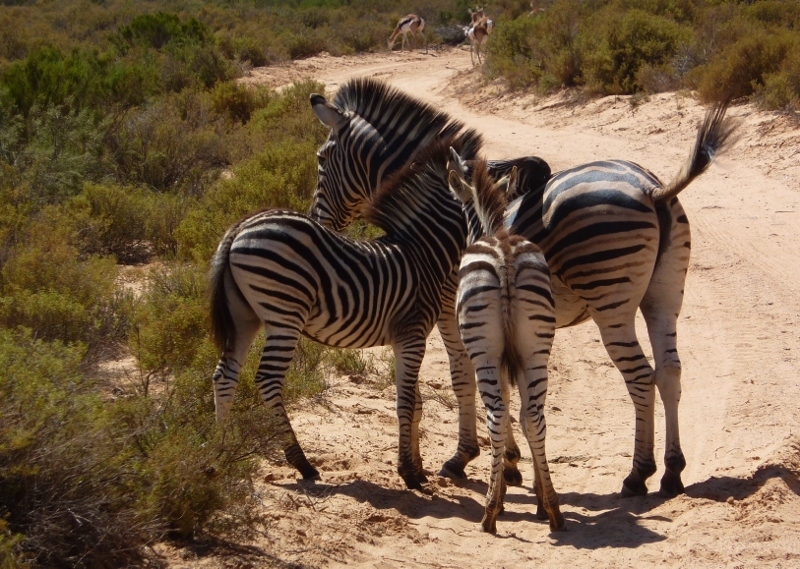 Did you know that every single zebra has it's own unique pattern and their family groups are called harems? 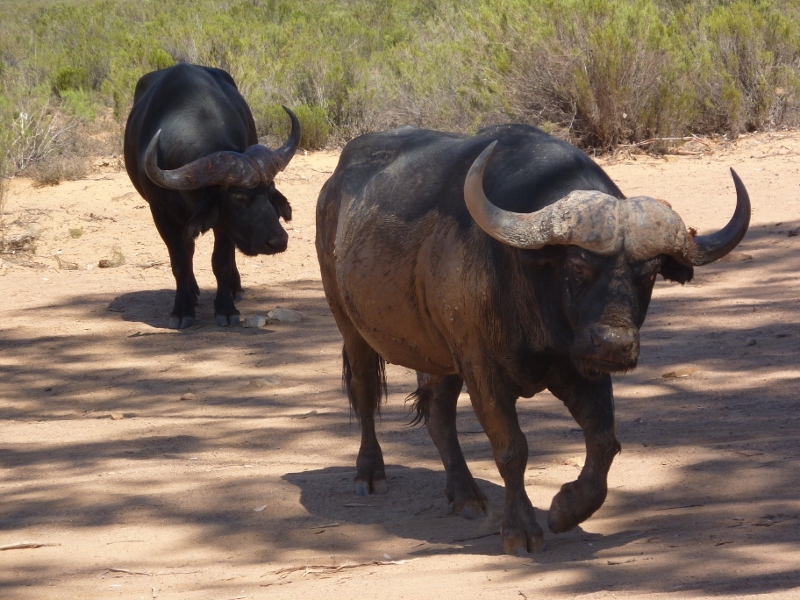 Your guide will probably advise you to keep a safe distance between yourself and the buffalos, the male with the wide, rust coloured horns gets very annoyed, very quickly. That's him in the background, surveying the area with great caution and a definite air of authority. On a less scary note, buffalos love tissues, very odd behaviour from such a majestic member of the Big Five! Lunch will follow in the beautiful restauarant, buffet style. There is a delicious range of salads, cheeses and meats to choose from, not to mention the desserts! Believe me, the fresh air and horse riding will have you ravenous! After a little rest and walk to let the food settle, you will then be taken to the Karoo Ostrich Farm not far down the road. Here you will learn all there is to know about ostriches, from fertilisation to the eventual, beautiful products created with the help of these great birds. Finally, your day will end at 15:30, definitely feeling closer to nature than you did at 09:00!